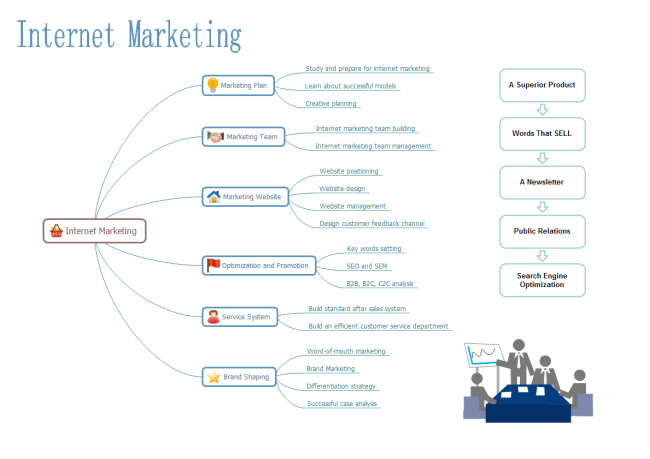 Description: You can use this internet marketing template to prepare your marketing plan. It's totally editable. You can install a Edraw Max or Edraw Mind Map Freeware to edit the template, or make your own mind maps. There are lots of clip arts free to use in the software to help improve your mind map.